A MEAT product sold in Aldi stores is now the subject of a five-state recall after "bone fragments" were found. 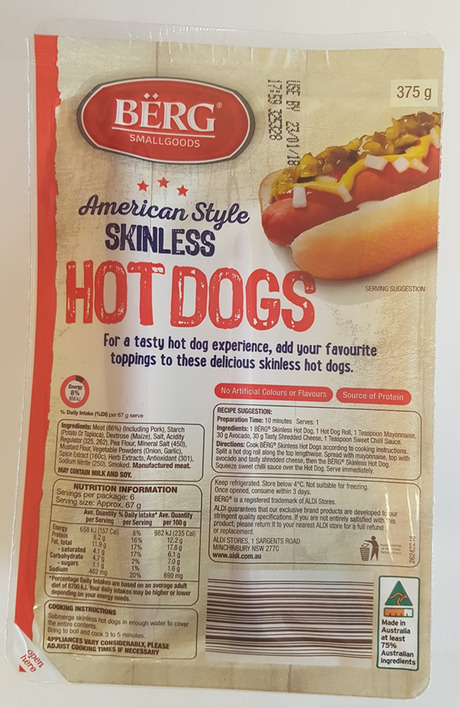 The sealed American Style Skinless Hot Dogs in the 375g packet size are being recalled "due to potential microbial contamination and presence of foreign matter". Customers are urged to return the products to the store if they feature any Use By Date codes up to and including 28/01/18. The recall has been issued by the NSW Food Authority, which warns the recall affects stores in NSW, Queensland, ACT, Victoria and Western Australia.